Once you see evidence of a bug offensive in your garden, there are steps you can take to protect your plants and re-balance your backyard ecosystem. To deer, a well tended garden is a living feast. Given the magnitude of the drought in the Midwest and continued drought in the south, many of us may face watering restrictions or bans for much of the growing season. Seed tapes make sowing and spacing of seeds a snap. 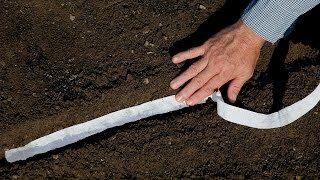 Watch how easy it is to plant with Burpee Seed Tapes. Recognize and treat attacks early.